I’m not going to lie, ‘E.T. The Extra-Terrestrial’ is one of my all-time favorite movies. And, despite my love of all things science fiction, it’s not because it’s an alien movie. At its heart, ‘E.T. The Extra-Terrestrial’ is not the story of a lost alien trying to get home. 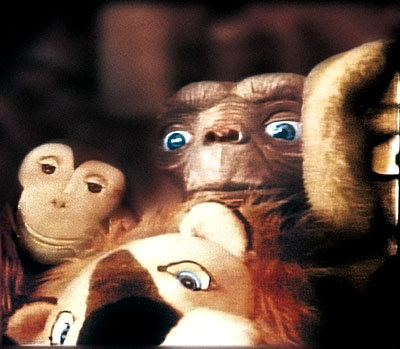 ‘E.T.’ is the story of a lonely little boy struggling with his parents’ divorce. He just happens to find an alien in his backyard while he’s doing it. Tuesday, Steven Spielberg released the film on Blu-Ray for the first time – and let me just say that the set is well worth the $20 to upgrade. This is one of those films that Blu-Ray was made for (click here for the top reasons to upgrade to Blu-Ray). Not only is the video transfer flawless – and it is – but Spielberg did something that a lot of his compatriots would never do: He returned the film to its original state of being. 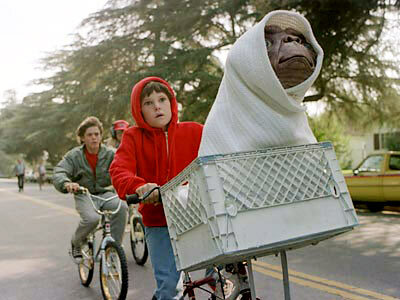 In 2002, for the movie's 20th anniversary, Spielberg jumped on the digital filmmaking bandwagon and “updated” ‘E.T.’ with current technology. He got the idea from his buddy George Lucas – who had recently done the same thing with the ‘Star Wars’ movies. In addition to making ‘E.T.’ more flexible and expressive, Spielberg also digitally removed the guns from one of the penultimate scenes when the police are chasing E.T. and the boys that are trying to get him back to his ship. It just so happens that is my favorite scene in all of movie history (yes, even ‘Star Wars’ movies). When E.T. sees the guns and Elliott closes his eyes because he believes he’s going to be shot – I remember being filled with real terror when I saw the movie as a child. Then I was filled with real joy when E.T. magically lifted all the boys so they were floating over the heads of the police who were chasing them. When Spielberg updated it, he replaced the shotguns with flashlights. It didn’t invoke the same terror. 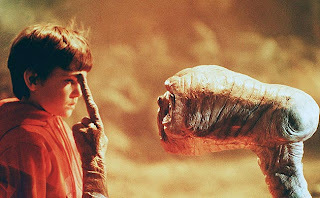 I’m not much of a crier, but ‘E.T.’ is the only movie that can always make me cry. I watch it, knowing that in just a few minutes E.T. is going to wake-up and Elliott is going to help him escape, and I still cry like a baby. Not only that, but I can actually recite the entire goodbye scene – with the appropriate pauses and gestures – from start to finish. That means from Gertie’s first “I just wanted to say goodbye” to Elliott’s last “Bye” I remember every gesture and tear. Watching ‘E.T.’ on Blu-Ray this week reminded me why. 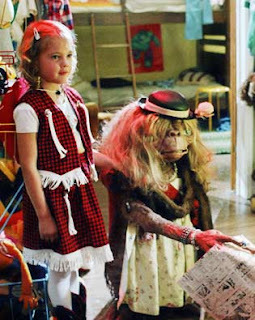 In these days of style over substance, ‘E.T.’ had both – and those of us that grew up in that era are better for knowing a cute little alien that just wanted to go home. What do you think? Are you going to check ‘E.T.’ out on Blu-Ray?